Combat sports occupy a unique space in contemporary culture; somewhere between spectacle and sporting lies the sanctioned use of deliberate, controlled, and even beautiful violence. In the wake of last week’s Bellator 149 card, I found myself reflecting on what exactly it means to honor both the elite skill and athleticism and inherent novelty that is watching two humans attempt to inflict physical harm on one another. Less than a week later, Glory 27: Chicago did just that, showcasing the talent and human emotion that draw us to the cage and the ring. The card’s Superfight Series kicked off with Casey Greene earning a hard fought, but closely contested victory over Daniel Morales. Morales did well to remain active throughout the bout but was ultimately outpaced by the veteran Greene, who came away with the unanimous decision victory on the judge’s scorecards. With the win, Greene improves to 4-2 in the Glory ring. 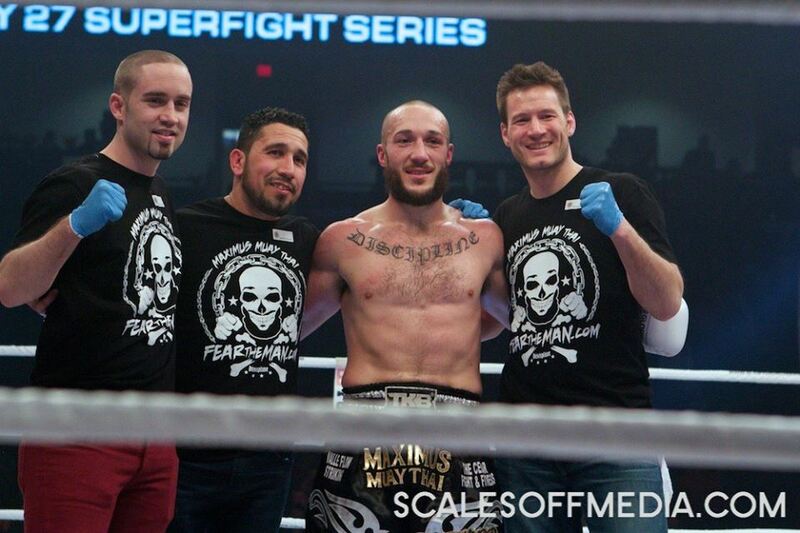 In the second bout of the Superfight Series, Chicago’s own Richard Abraham made his Glory debut against Polish standout Pawel Jedrzejczyk. From the opening bell, Abraham came out swinging with clear designs on earning a stoppage. Abraham landed in volume, pressuring Jedrzejczyk with looping power punches for the better part of two rounds. The Chicagoan moved fluidly throughout the contest, seemingly unconcerned with Jedrzejczyk’s counterstriking ability. Abraham’s pace slowed in the third, as Jedrzejcyk strung together some offensive rhythm, but it was much too little too late. Given his dominant performance and propensity for throwing heavy punches, it would have been great to see Abraham earn the stoppage; nevertheless, he comes away with a decisive victory and immediately establishes himself as a fighter to watch in the welterweight division. Guto Inocente needed only 40 seconds to dispatch Demoreo Dennis in absolutely devastating fashion. The Brazilian caught Dennis with a perfectly timed spinning back kick, which landed flush to the head, sending Dennis crumbling to the canvass. Just as he wasted no time in putting an end to the fight, Inocente made no attempt to beat around the bush regarding his ambitions in the Glory heavyweight division, using his post-fight interview to publically set his sights on champion Rico Verhoeven. While an imminent title shot is a touch ambitious, Inocente could likely not have scripted a better narrative to his Glory debut. In the following match, Anderson “Braddock” Silva secured the sweep for the Brazilians on the card. Silva’s experience shone through, as he absolutely pulverized the legs of Maurice Greene with kick after kick. Every time Greene moved forward, he was met with stiff leg kicks, two of which resulted in leg-buckling knock downs. After two frames, of punishment to his lower body, Greene’s mobility was greatly reduced, allowing Silva to coast through round three and get back in the win column for the first time since 2014. 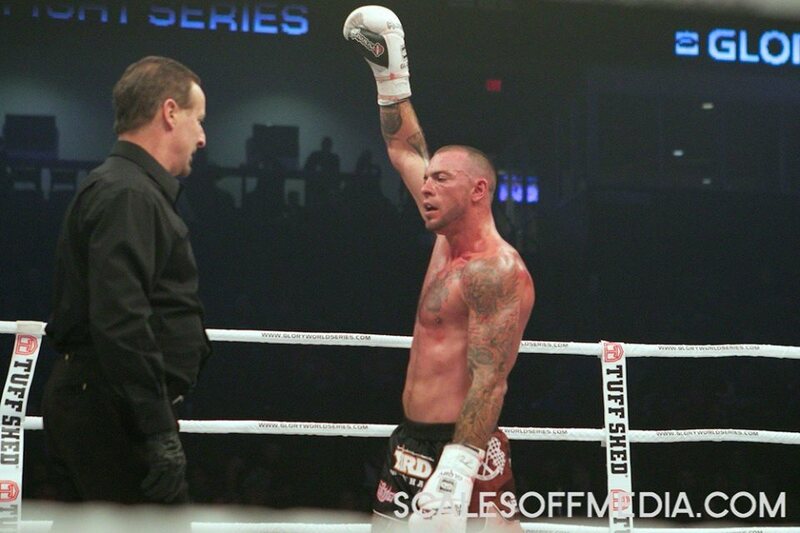 The main event of the Superfight Series saw Joe Schilling work his way to comfortable decision victory against Mike Lemaire. Schilling set the pace of the fight early and looked extremely relaxed through the fight’s opening frame, working Lemaire into corners and landing shots at close range. Midway through the second round, Schilling began to show signs of fatigue but remained active, landing several hard power punches and limiting Lemaire’s ability to circle out of danger. The third round saw a decreased work rate from Schilling, presumably a combination of awareness he was up by two rounds and the exhaustion of coming into a fight like this on such short notice, but he remained elusive and scored well off the counter en route to a unanimous decision victory. In the first semi final of the Middleweight Contender Tournament, Wayne Barrett won by unanimous decision against Robert Thomas in a fight of attrition in which neither fighter was able to generate a great deal of consistent offensive output. Barrett used effective movement and counterpunching to outpoint his opponent through three rounds and punch his ticket to the finals. There he would meet Dustin Jacoby, who secured a place in the tournament final by defeating Karl Roberson by third round stoppage. Jacoby used his length to keep Roberson at distance with kicks, before letting his hands fly in the third round, dropping Roberson twice in rapid succession with a strong combo to the head and a knee up the middle respectively. The second knock down of the round brought the fight to a close with only four seconds left in the fight and sent Jacoby on to a meeting with Wayne Barrett in the finals. Jacoby’s dominance only continued in the tournament final. After forcing Barrett to fight off of his back foot through most of the first round, Jacoby immediately came out in the second and landed a hard right cross which sent Barrett staggering and dropping slowly to his knees, putting the exclamation point on a night in which he proved why he deserves to be next in line for a shot at the middleweight strap. In the featherweight division, Georgia’s Giga Chikadze and Kevin VanNostrand engaged in a three-round battle that was an immediate lock for fight of the night. Time and time again, VanNostrand lunged forward with lead knees and shots up the middle, creating high-output exchanges at very close range. It was Chikadze, however, who got the better of the contest, controlling the ring and, by the third round, getting the better of each ensuing exchange as VanNostrand pressed forward. After the fight, Giga disclosed to media in attendance that he felt his rib had been injured by one of VanNostrand’s hard knees up the middle, but this clearly did not hold him back on his way to a crowd-pleasing unanimous decision victory. refused to continue the fight and exited the ring. After Marcus had been awarded the belt and the card had come to a close, Levin’s team could be overheard in the arena concourse inquiring as to the protocol to review and contest the match’s officiating decisions. Despite the somewhat anticlimactic end to the night, Glory 27 delivered on all counts: big flash knockouts, three round wars, expert game planning. The promotion’s next installment is scheduled for Saturday, March 12th in Paris and will feature a heavyweight title tilt between champion Rico Verhoeven and Mladen Brestovac that seems poised to continue Glory’s run of quality cards that place the fighters and their craft squarely in the forefront and let spectacle follow naturally, never pandering in the process. 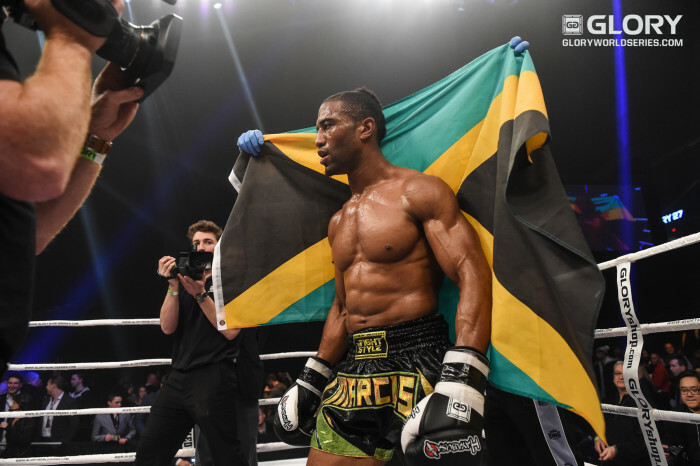 Click here to see more Glory 27 Photos!